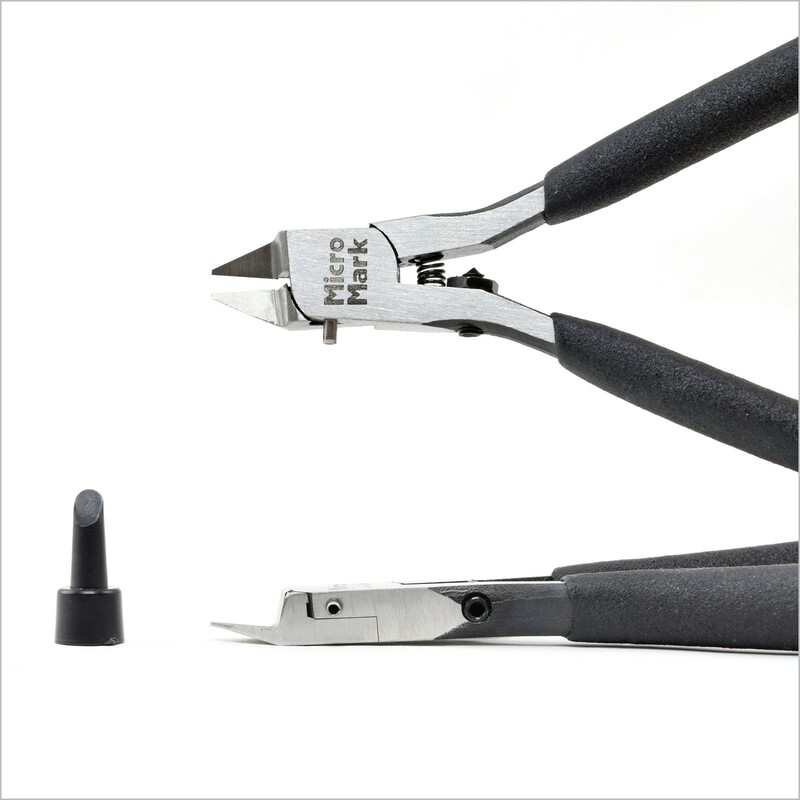 Combining the fit-anywhere size, cutting precision and control of our Despruing Tweezer with the extra leverage and familiar feel of a plier, the Micro-Mark Modeler's Micro Sprue Cutting Plier is the perhaps the most versatile tool you will find for removing plastic parts from their trees. Low 10-degree cutting angle makes the cleanest flush cuts, even in the tightest locations. 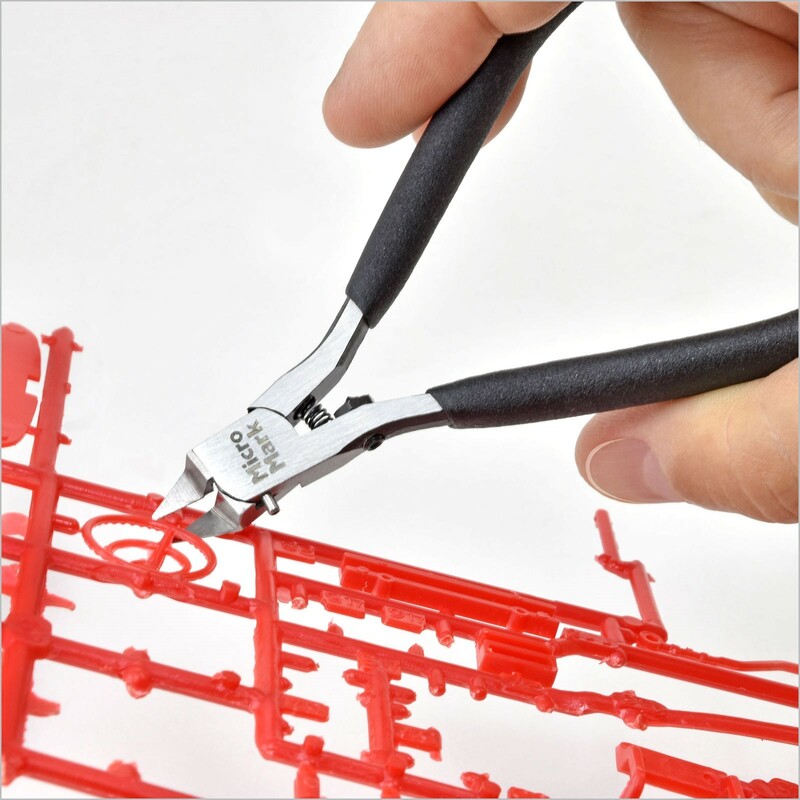 Super-sharp, ultra-thin blades minimize parts breakage and shear the most delicate sprues with zero distortion and stress-free cutting action. Unique stop-pin limits opening action as desired and spring return handles have the just-right feel of a finely-tuned instrument. 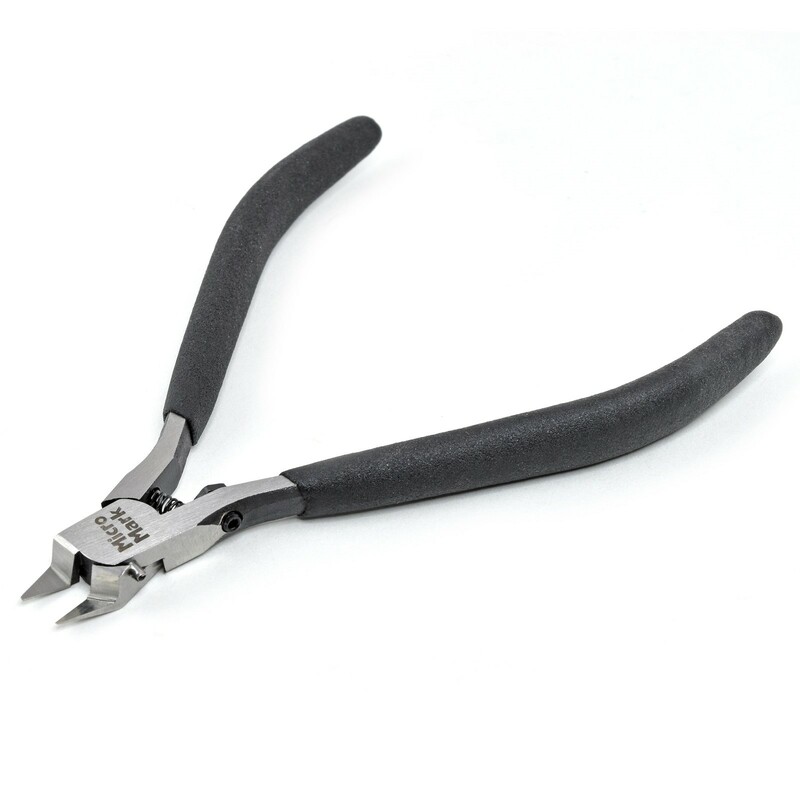 Durable blades have a hardened cutting edge with a Rockwell hardness of 58 +/- 2. For plastic sprues only.